Still, despite trading barbs—candidate Trump called her weak on immigration and an embarrassment to the people of South Carolina—and despite any demonstrable international expertise, Haley took the UN post offered her, presumably because she saw it as a stepping stone. So far, Haley has kept a high profile at the UN while avoiding the sleaze and drama of the Trump White House. She has maintained her dignity and that of the country under trying circumstances. But she is at a tipping point. 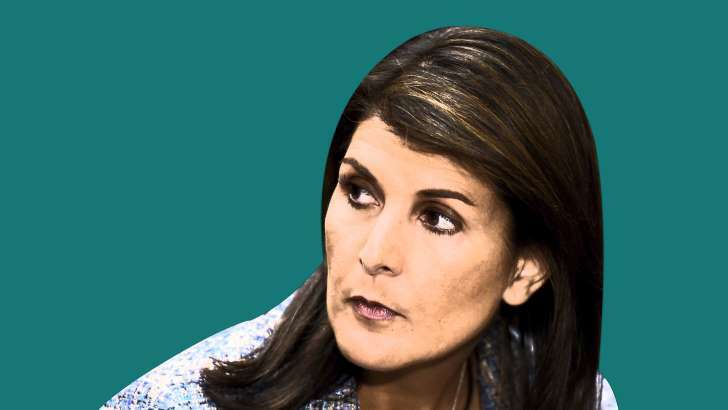 Politics - U.S. Daily News: Nikki Haley, Great Pushback. Now Resign on Principle.